for $229,900 with 3 bedrooms and 1 full bath, 1 three quarter bath. This 1,905 square foot townhouse was built in 1985. 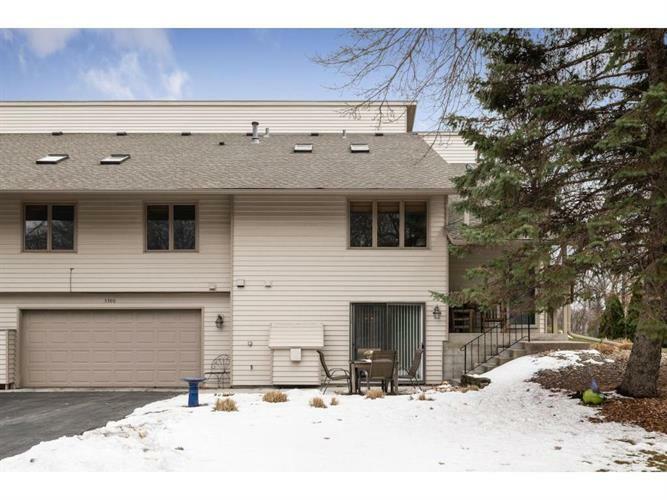 Rare Harrison Hills corner unit townhome with private driveway set in quiet, nature filled surrounding! Its sunny southwest orientation has several updates including new washer and dryer, water heater and disposal within last year. Walk to two parks within 2 blocks ( Timber Trails and Three Ponds) and enjoy the walking trails, playgrounds and athletic fields. Vaulted ceilings, skylights and open main floor plan with southern facing deck lend to a big living feel to this fantastic home. Enjoy the lower family room with gas fireplace and walk-out patio. The attached garage is deep enough to park a full sized truck. This home will sell fast at this price.